Hope everyone has enjoyed their weekend and are ready for the week ahead. To be honest not sure if I am fully ready! ;-) Thanks for stopping by and have a great week! 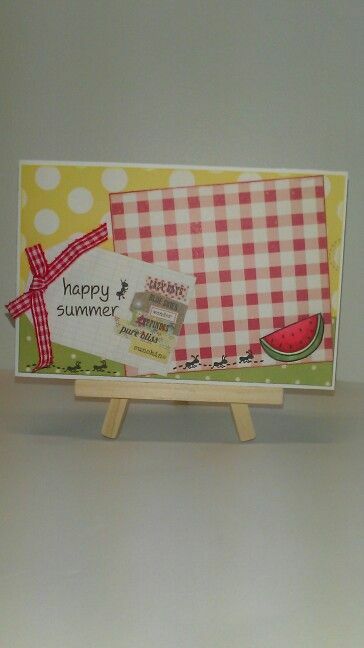 I used Life is Good stamps and dies from Lawn Fawn. 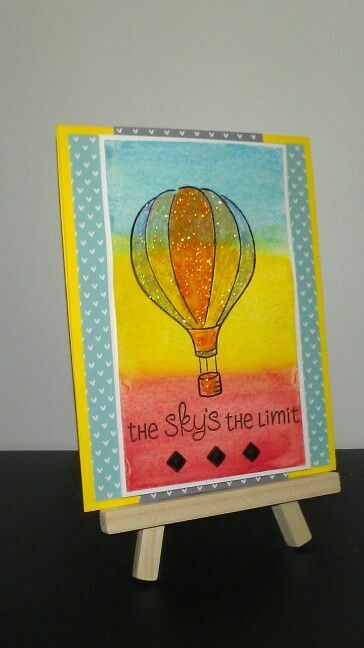 I watercolored my background with Distress Inks onto Tim Holtz watercolor paper. Thanks for stopping by! 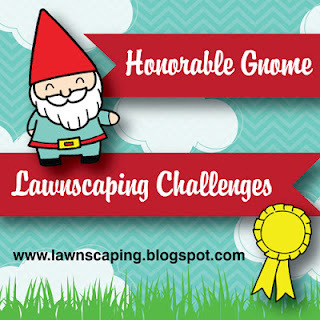 I was picked as an honorable Gnome for the Lawnscaping watercolor challenge! 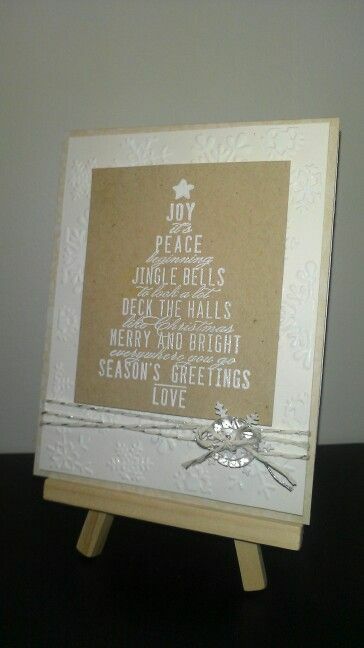 Its starting to look like Christmas in my craft area and it's only July! 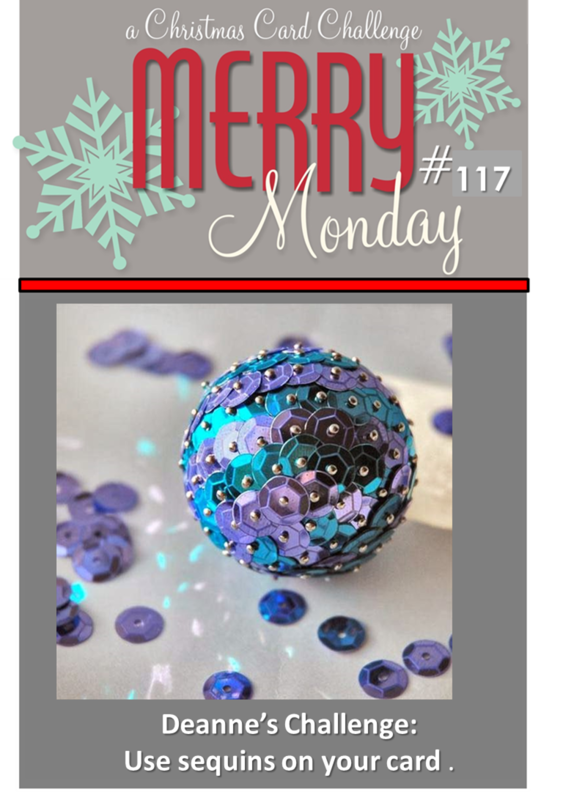 I really enjoy playing along with Festive Friday and Merry Monday blogs. Since I'm usually trying to finish my Christmas cards at the last minute, why play along and get a head start! Right, anyone with me? I will link this card to both challenges for this week. Here are the images for each challenge, maybe they'll help to inspire you too! 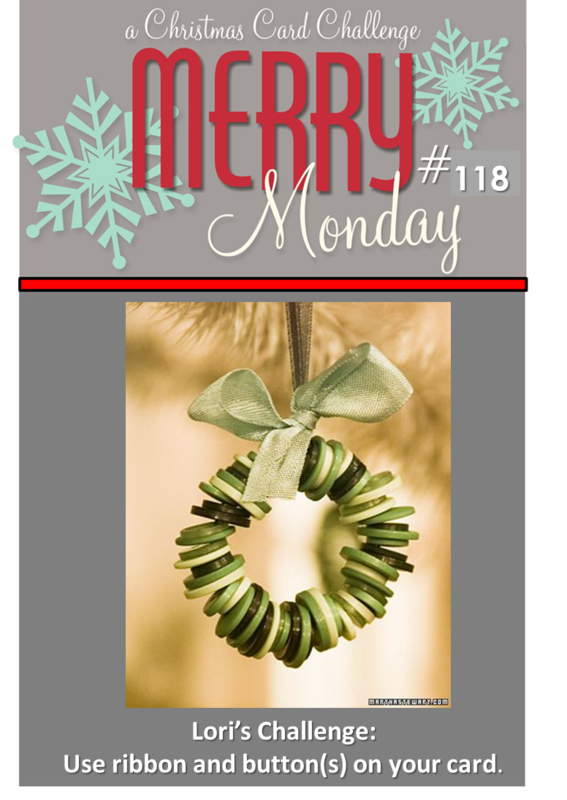 Click here for Festive Fridays and here for Merry Monday blogs! The stamps set used was from Close to my Heart and I stamped them using Memento Luxe inks. 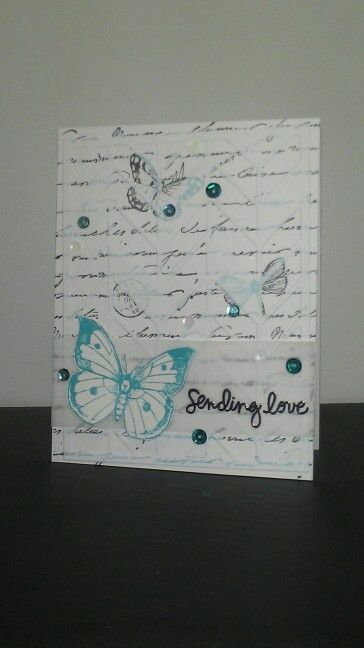 The card stock and sequins were items from my stash. 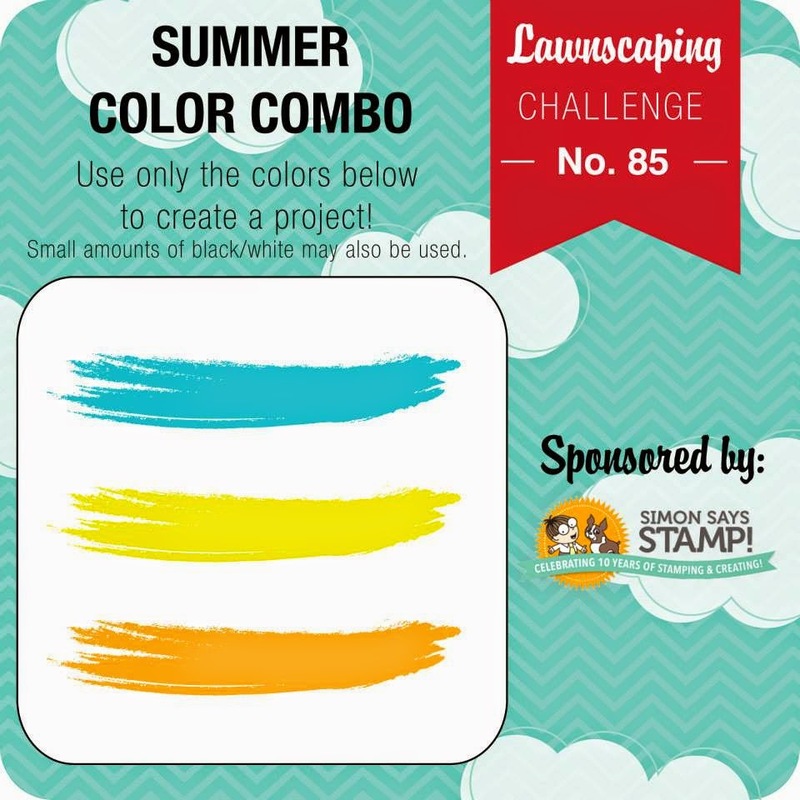 One last card for the Lawnscaping challenge. I made this for a coworker who is soon leaving for another job. I'm so excited for her and her new "big girl" job! Hope everyone has a great day, thanks for stopping by! Just on a side note, the fabric used was something I picked up at yard sale together with three bags full of other Christmas crafty things for $1. 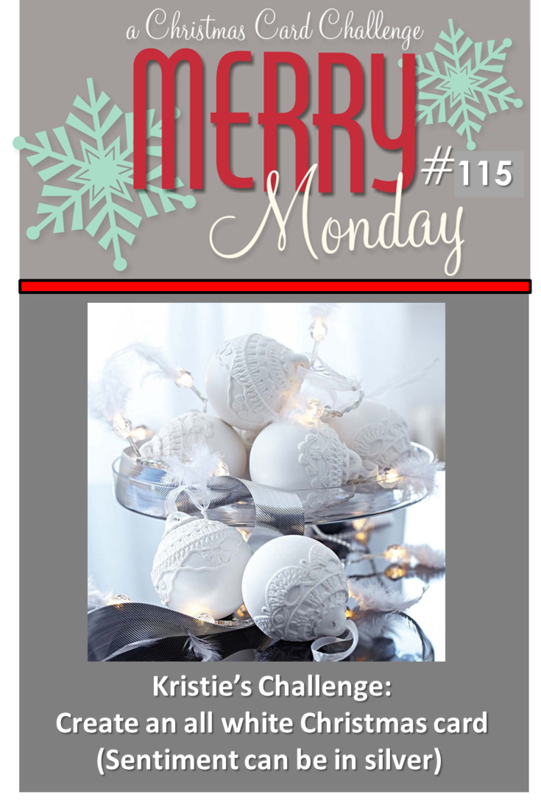 It was a great deal for sure and I now have fun things to add to all my Christmas crafts! Don't forget to look at yard sales for craft items, never know what you might find! Just another quick post to show another card that I'm adding to the Lawnscaping challenge. I do love the color combo, it's a good one for summer. 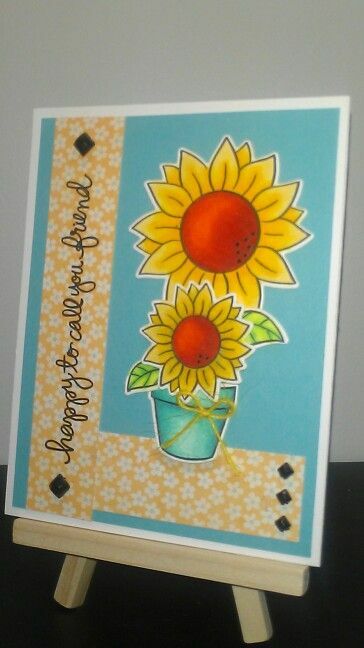 Love the sunflowers and matching dies from the "Our friendship grows" set. They are great for coloring and let me be honest here, that is something I've never grown out of! Some days it's difficult for me to pass up new cute coloring book. ;-) Any one else have that problem, or is it just me? This is the last post for today promise! I need to go to bed anyway so I can rest up for my 5 am shift tomorrow. Thanks for stopping by!!! 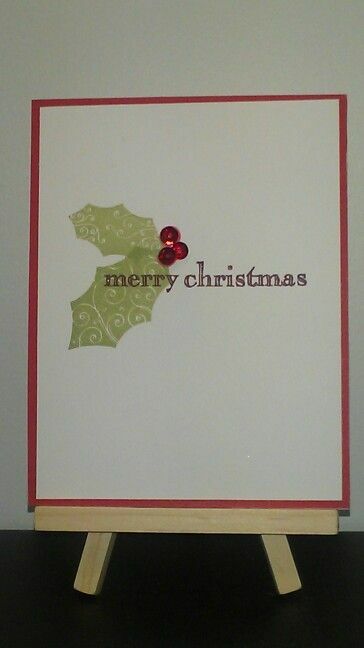 This card was made for my friend/neighbors son. He turned 7, though all the animals celebrating would be perfect. 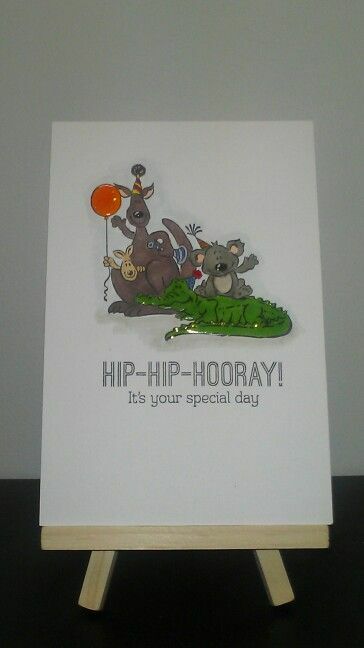 I used some glossy accents on the balloon, the animals noses and the alligator. He just had to have shiny and wet skin! 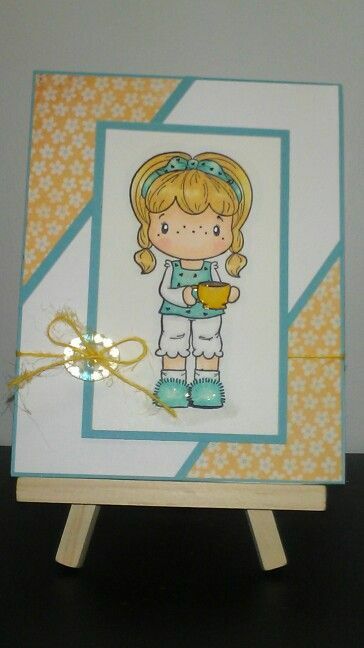 I will be adding the card to the Simon Says Stamp Wednesday challenge. I had so many ideas for this challenge that I wanted to try, but feel I'm starting to run out of time. Especially since I need to get busy if I plan to join in the CCC this month. If any one is interested the image I used is part of a set from Close to My Heart, item number D1597. If you haven't heard of Close to My Heart, feel free to use this link to visit my friends site and look around. Just a quick little post for a card I made today. 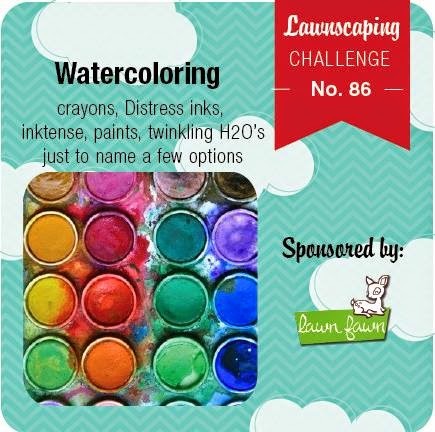 I love the color challenge at Lawnscaping. So I thought I'd add my card to it. Hopefully I'll be able to make another card for the challenge too, they are fun to play along with. My house is really quite tonight with the husband out for the night and the boys visiting the grandparents this week. So I had time to work on a card when I got off of work today! There where a couple of challenges this week that worked for this card so I will link it to the following 3 challenges. I was having issues with my lighting so unfortunately it isn't the best picture. I used some dies from Memory Box and Simon Says Stamp. 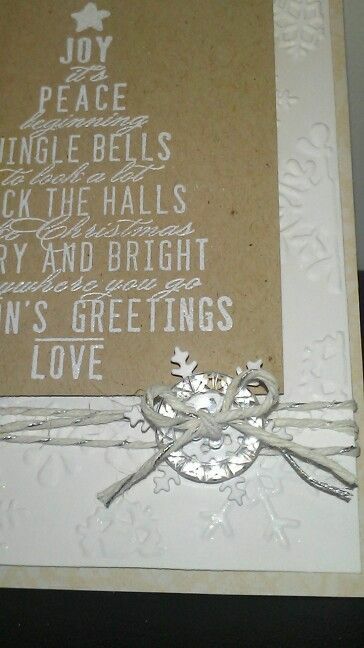 The paper is Neena solar white and silver glitter paper from Recollections. 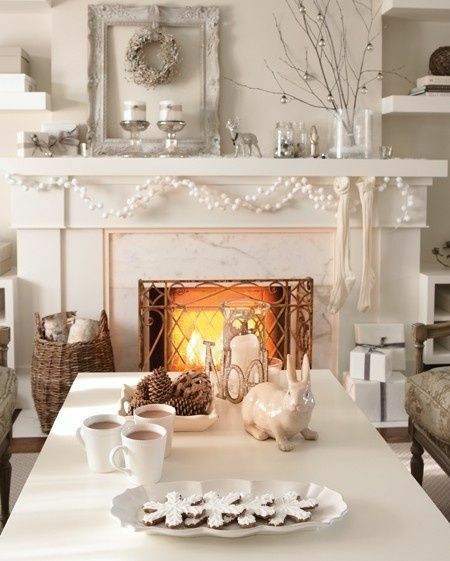 I love how the shimmer peeks out through the spaces on the snowflakes. 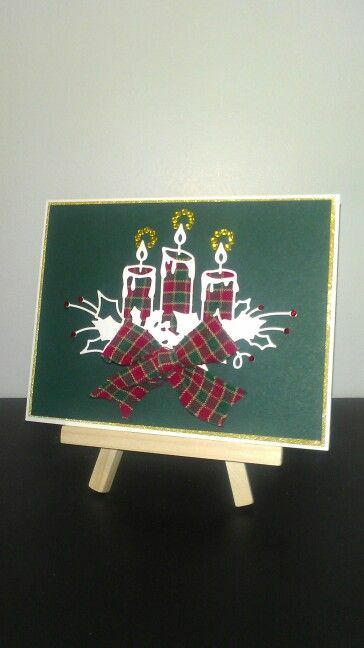 This time around I stuck with only one of the challenge options and worked with plaid, bringing it to my card with ribbon and patterned paper. The July CCC sign up has started and you have until the 16th if you'd like to join. 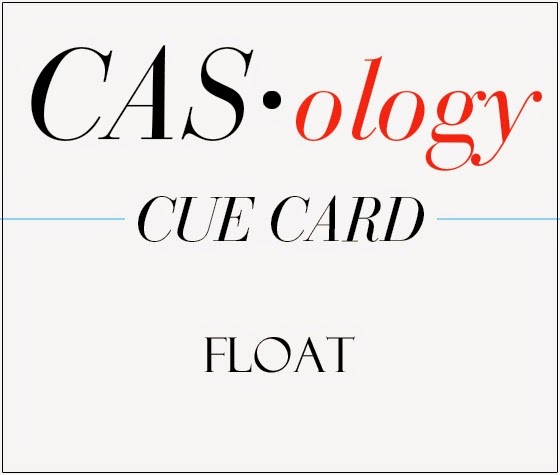 It's a fun challenge since my card goes to another participant and it's great to receive one in return every month. Just a quick little post to share a card I made. I recently bought a cheap set of watercolors from Michaels to play with, didn't want to get an expensive set since I'm not sure how much I'll use them. I still like water coloring with my distress markers a little better, but it was fun and I think the card turned out great. I will add this to the Simon Says Stamp Challange. 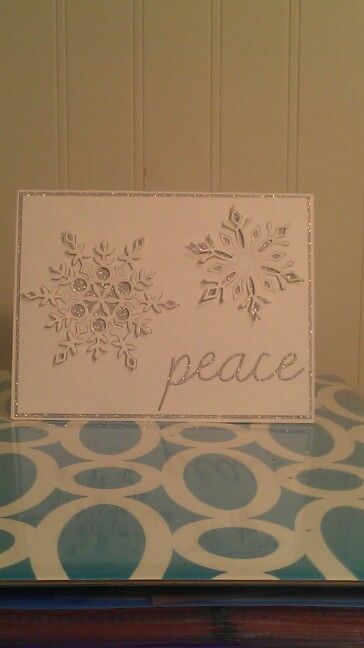 I used Tim Holtz water color paper and heat embossed my flowers and sentiment. 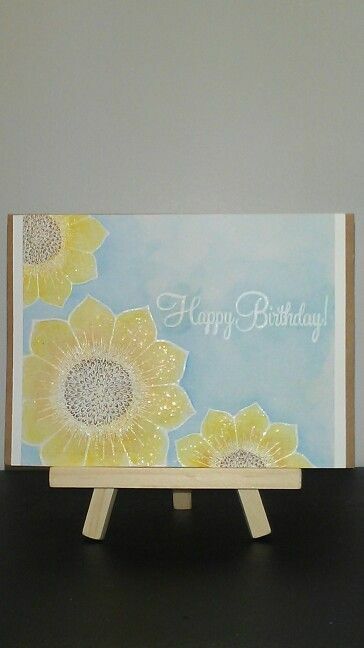 Used the new set of water colors to color the flowers and back ground. Once it was all dry I used some clear rock candy stickles to add some sparkle. Thanks for stopping by! Hope everyone is having a great week.